I am the proud father of seven children. 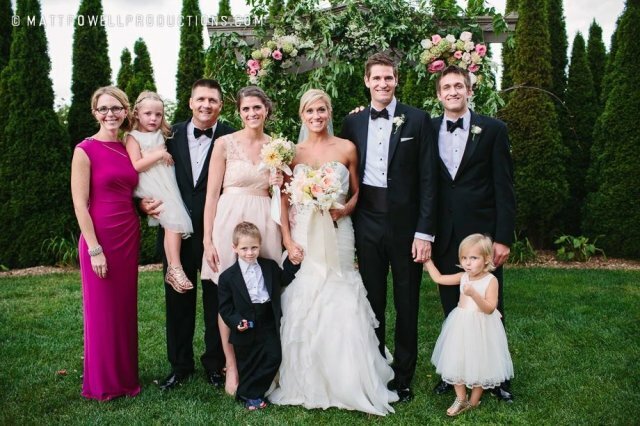 Sarah: a UNC-Chapel Hill graduate and married to Will Pitts. Shelby: a UNC-Chapel Hill graduate with a Masters in Urban Education and married to Seth Baldwin. Shawn: a student athlete on a football scholarship at Vanderbilt, he plays QB. My wife Kate and I have been married 10 years. Kate, formerly a second grade elementary school teacher AND owner and instructor of Blue Point Yoga Studio in Durham, NC is now a mother of triplets Ella and Leo, 4 years old (the third triplet Madison Quinn went back to heaven after 7 months in the womb and 7 hours in our arms Dec 17, 2009) and our youngest Jordan Grace (3 years old). 30 year licensed commercial real estate broker in the Raleigh Durham area specializing in large commercial lease and sale transactions. Former partner in real estate firms Vanguard Associates, Goodman Segar, ONCOR, Advantis , Trinity Partners and DTZ.